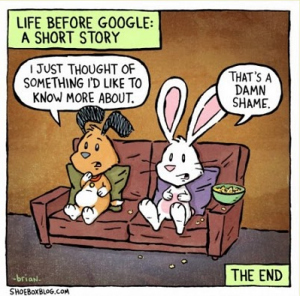 Was There Life Before Google (BG)? Sure, but try finding it! Like many things, is Google a mixed blessing? I now divide my life into two distinctive eras: Before Google (BG) and After Google (AG). The monumental ‘dividing event’ occurred somewhere in 1999 <em>Anno Domini (AD), when the now ubiquitous online phenomenon entered my life. It was a good friend, photojournalist and new media activist Shahidul Alam, who first told me about this new kind of search engine with a funny-sounding name. Google. At that time, it was just a noun. I was already weary of the simple, simplistic and yellow-page like listings offered by Yahoo, and welcomed this refreshing change. I immediately switched — and haven’t looked at another search engine in the past dozen years. And I also liked its cheerful, multi-coloured logo. Things weren’t so slick or quick at the beginning, and even Google was learning by doing. We were still in the dial-up era, when 56 kbps Internet access speeds were still mostly an aspiration. Besides, there was far less content online, and far fewer ways to access and process it. Where Google stood apart, from every other service, was in its better targeted search results. The research of any given quest was still in our hands, but narrowing down was helpful. We’ve come a long way, and eons in Internet terms, since those early and murky days. With my always on, reasonably fast broadband connection, I now Google effortlessly many times day and night: I know I’m leaving a steady datastream of everything I look for, and that it can be traced, analysed and interpreted by anyone who can force Google to part with this back-end data (usually governments). But that’s the price I pay for Google’s versatile services. A few weeks ago I tweeted “Was there life before Google?” My own tongue-in-cheek answer was: Sure, but I can’t easily locate anything from that period! Not everyone appreciates Tweeted humour. I received a range of replies online and offline, mostly negative. Some cyber-skeptics faulted me for ‘deifying an American corporation like Google that is out take over the world’ (they haven’t heard the news!). Others, school teachers and librarians among them, told me that Google has plenty to answer for. They lamented that many people have now forgotten the art and science of looking for a specific piece of information and imagery using well-organised information sources that combine physical and computer-based services. Professional information managers view Google as a superficial, hit-or-miss, much diluted version of their noble craft. Cyber take-away to be consumed on the run, as opposed to a gourmet meal to be partaken and enjoyed at leisure. I’m old enough to have used libraries diligently and regularly for several years of my working life. I still do, when I can’t easily locate something online — especially historical content that remains under-represented or non-existent on the web. For me, it’s not a question of either/or. In fact, my frustration is that enough content from the pre-Internet period (much of history) is not yet available online in properly searchable ways. That includes my own personal archive. I’ve been producing journalistic output in the media for 25 years in print, radio and television outlets. The electronic media output is completely lost, and practically everything I wrote before 2000 AD (or Year 1 of my personal AG) is also not online. And my output in Sinhala, including my current Sunday column in the Ravaya newspaper, is not available online. No, I don’t idolise Google as a global deity. 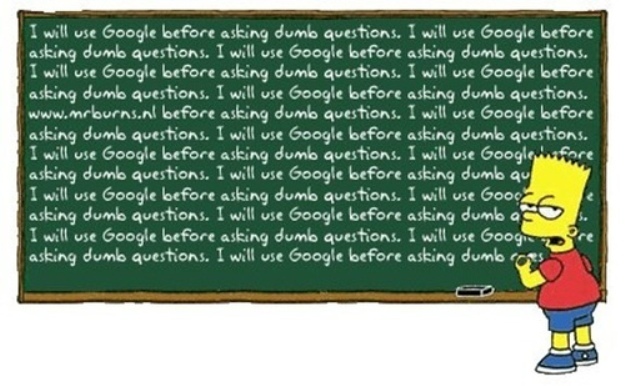 But I thank Google a few times every day. Increasingly often, that includes times when I want to locate a specific reference to something I myself have written and published. This is what happens after writing several thousand pieces on a wide range of subjects and topics. I envy those who can still recall precise details of their own vast bibliographies. As for me, I routinely turn to my usually reliable and well-informed friend Google. She rarely lets me down. PS: One facility I stubbornly refuse to use is GMail. Google’s idea of a web-based email service never appealed to me, a Digital Immigrant who is not fully convinced about storing all my correspondence ‘in the cloud’. What really puts me off is how fleeting, erratic and often utterly incomprehensible GMail users are in their replies. There are a few honourable exceptions, but most GMailers I know are a confused and confusing bunch. I love you, Google, but when it comes to email, thanks but I’ll continue to operate my own accounts, branded on my own domain name.